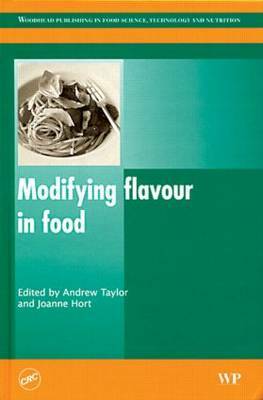 Reviewing recent developments and research, Modifying Flavour in Food begins with a comprehensive introduction followed by chapters on flavoring substances and the extraction of flavorings from natural sources. The book discusses technologies which improve flavour such as white biotechnology, the development of yeast flavor enhancers and the formulation of flavorsome low fat food. It goes on to cover techniques for flavor modification such as the controlled release of flavors, developments in sweeteners and masking agents for foods. The book concludes with coverage of the applications of new ingredients such as bitter blockers and masking agents.